Your next constellation will be found in one of three shops. Either Exquisite Ambrosia, Illustrious Weaponry or Magical Marvels. Visit each shop. Each piece in this shop is embued with ancient Altadorian magic. You need to make your Neopoints on hand equal the current inflation. In this example, you need to have exactly 351 Neopoints. You would put all but 351 of your Neopoints in the bank, and refresh the shop. You're looking for an item with a scale on it. If you do not see the item, try one of the other shops. The items are listed below. When you see the item, click on it to purchase it. You will immediately be brought to a page that shows the pattern (you don't actually buy the item). Another strange pattern! Imagine that. Let's see what Finneus makes of this. item, I wonder? Well, off to the observatory with you." When you've got it, click submit! Congratulations! 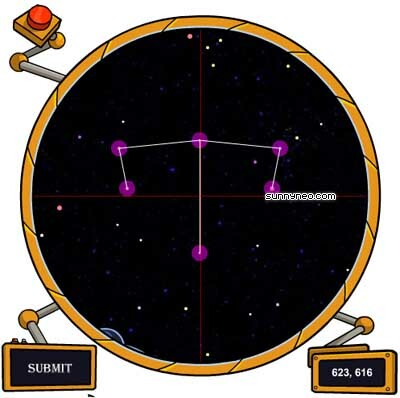 You've just found your 8th constellation: The Collector! AREN'T SO GREAT!!" he shouts. "Whew, almost blew my top there." take this. Just watch for the signal, when we take over the club from him." The archivist says, "As I suspected: Gordos, the Collector. so that narrows down which Hero's constellation is to be found next." traitor I spoke of before." As with the last constellation, a few other things have been updated. 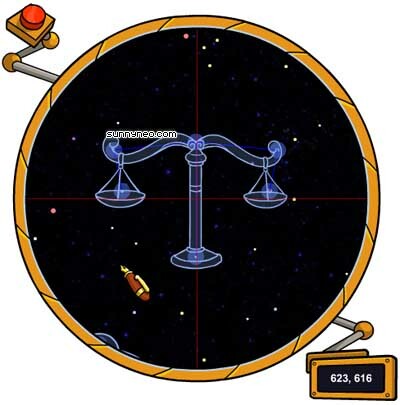 If you click on the statue of Gordos, then click on the tippy top of the picture, you will see the gems above his head are lit up!